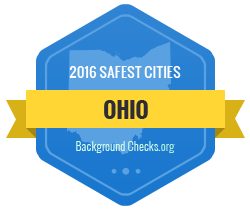 One of the safest cities in Ohio! Delhi Township is a suburban community with a population of 29,510 (2010 U.S. Census) located in Southwest Ohio’s Hamilton County. Delhi was established in 1789 and was a rural community until just after World War II. The Township’s motto, “The Floral Paradise of Ohio”, dates from this earlier era when the Township’s landscape was dotted with greenhouses. At one time these greenhouses were a major source of the nation’s carnation stock. Since World War II Delhi has experienced a transformation from a pastoral, agricultural community into a quiet bedroom community that emphasizes neighborhood and family. Delhi Township is a home-rule township whose policy-making authority is vested in an elected three-member Board of Trustees. The Township Fiscal Officer is also an elected official. The Trustees and the Fiscal Officer serve four year staggered terms with elections held in November of the odd-numbered years. Delhi Township, located in south central Hamilton County along the Ohio River, has an area of approximately ten square miles in its six whole and nine partial sections. A narrow, flat strip of land along the Ohio River first attracted European-American settlements in the early 1800s, while the forested highland to the north, with gently sloping ridgetops and steep valley walls, remained mostly agricultural until the mid-20th century. South Bend, Delhi’s first village, was founded in 1789 by the brother of John Cleves Symmes of New Jersey, who purchased all the land between the Great Miami River and the Little Miami River for development with the opening of the Northwest Territory. Population growth surged into the Cincinnati basin over the next few years, and South Bend disappeared from maps by the time Delhi Township was founded in 1816. However, river towns like Riverside and Sayler Park, now part of the city of Cincinnati, grew and prospered during this time. During the 1840s, entrepreneur and agrarian Nicholas Longworth encouraged German immigrant farmers to develop grape growing on the Delhi hillsides, and the township’s population began to expand inland. A blight destroyed most of the vineyards in the 1850s, and Delhi farmers shifted to dairy and vegetable farming, selling their produce at Cincinnati markets. Delhi’s public schools began like others in rural Hamilton County – as one-room schoolhouses dotting the countryside. The township school system was replaced by three “Special” schools in the 1920s, organized by villages and rural communities. In 1926, they were consolidated into the Delhi Township Rural District School. Two large Catholic institutions relocated to the township after the Civil War. The Sisters of Charity moved their community from Price Hill to a Delhi farm and founded the College of Mount St. Joseph there. The Brothers of the Poor of St. Francis Seraph founded Mt. Alverno, a boys’ reform school that was administered until the 1970s. New Englanders, the first settlers in Delhi, founded several Protestant churches including the oldest, Shiloh Methodist Church, in the 1830s. Irish and German immigrant farmers founded a number of Catholic churches in Delhi throughout the later 1800s, and many established parochial schools. The oldest is Our Lady of Victory, which has operated since 1892. The Delhi hills remained agricultural into the mid-1900s, despite the encroachment of suburban development on the eastern side of the township during the 1920s. After World War II, international growers began undercutting local flower prices. Property that once held greenhouses was sold to developers for housing tracks and businesses, changing the character of Delhi Township from an agricultural to a suburban community by the end of the twentieth century.